Mubychem Group, established in 1976, is the pioneer manufacturer of Sodium Monochloroacetate, Pharmaceutical, Fragrance & Flavor chemicals in India. Mubychem Group has several manufacturing facilities spread across Gujarat and Mumbai India and world wide contacts and toll manufacturers. We are exporting globally to countries like USA, Europe, UAE, South Africa, Tanzania, Kenya, Egypt, Nigeria, Uganda, Turkey, Mexico, Brazil, Chile, Argentina, Dubai, Indonesia etc. Sodium Monochloroacetate is a white colored free flowing fine powder with a pungent odor. It is readily soluble in water and available as a technically pure grade. 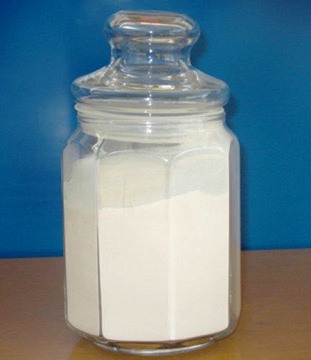 Sodium Monochloroacetate is available as granule and in powder form (of the two forms, granules have better flowing characteristics and reduced caking behavior, making them easier to use).At room temperature Sodium Monochloro Acetate is a white hygroscopic solid (in powder or granule form). Hydrolysis of aqueous solutions of SMCA very rapidly leads to the formation of sodium glycolate and hydrochloric acid, depending on the temperature and time for which it is kept in open. Sodium Monochloro Acetate is a hazardous substance and has been officially classified as “toxic" but unlike MCA, SMCA is not corrosive to the skin. As far as known, Sodium Monochloro Acetate does not penetrate the skin but is absorbed after ingestion, causing systemic poisoning. Prolonged contact should be avoided since SMCA is hygroscopic and hydrolysis may occur on wet skin and eyes. Exposure should be as low as possible but at least lower than the limits set by local regulations such as the Maximum Allowable Concentration (MAC) value for a working day of 8 hours. Expert medical attention should be obtained immediately for anyone who has been in contact with ingested or inhaled Sodium Monochloro Acetate. Personal protection, such as acid resistant gloves and clothing, safety goggles, and dust protection for handling solids, must be used to avoid contact with Sodium Mono chloroacetate.